All of our driving headstalls are made in our workroom of the highest quality Beta from Genuine BioThane USA. An industry standard in the driving world for its low maintenance leather- like appearance and is easy to clean (to clean take a damp cloth with warm water and soap). 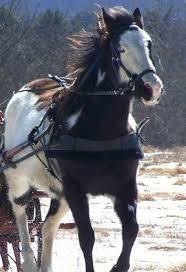 The driving headstalls are made with removable blinds in case you have a horse that prefers open cheeks. 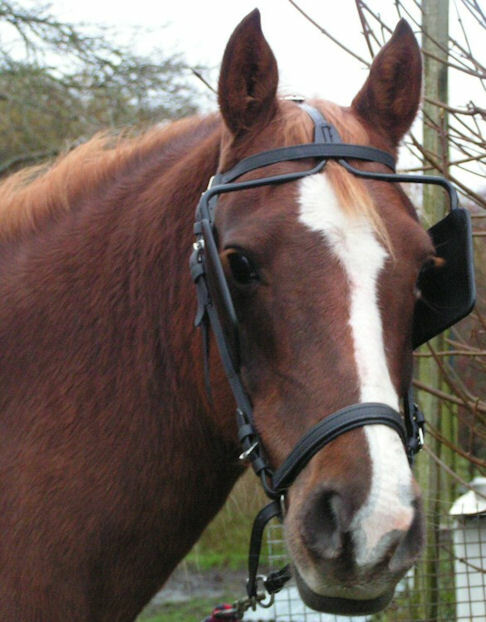 We sell the open cheeks to fit all of our sized driving headstalls in the accessory dept. You can use any driving lines with our driving headstall, however if you would like to order a matching pair of beta lines please call 877-942-4277 and we will cut them to the exact length you desire. All Hardware is stainless steel and will not rust. Only available in black and comes in the following sizes, Mini (as in Mini Horse) – Small (Arabs and Ponies) – Medium (Average Horse) – Large (Larger Breed Horses) – Draft. There is plenty of adjustment in our Dr. Cook Bitless Driving headstalls, however if you would like to be certain your bridle will fit correctly (proper fit is important) we suggest you measure and use the sizing chart below. All of our driving headstalls are made in our workroom of the highest quality Beta from Genuine BioThane USA. An industry standard in the driving world for its low maintenance leather- like appearance and is easy to clean (to clean take a damp cloth with warm water and soap). 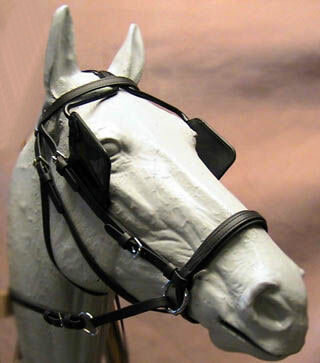 The driving headstalls are made with removable blinds in case you have a horse that prefers open cheeks. We sell the open cheeks to fit all of our sized driving headstalls in the accessory dept. You can use any driving lines with our driving headstall, however if you would like to order a matching pair of beta lines please call 877-942-4277 and we will cut them to the exact length you desire. All Hardware is stainless steel and will not rust. Only available in black and comes in the following sizes, Mini (as in Mini Horse) – Small (Arabs and Ponies) – Medium (Average Horse) – Large (Larger Breed Horses) – Draft. There is plenty of adjustment in our Dr. Cook Bitless Driving headstalls, however if you would like to be certain your bridle will fit correctly (proper fit is important) we suggest you measure and use the sizing chart below.